Golosa de Delicious Seeds is a feminized cannabis seed obtained through crossing a Blueberry x Grapefruit and then crossed with Bay 11. 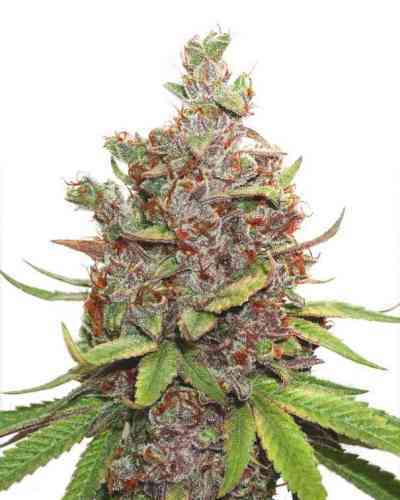 The result is a beautiful cannabis hybrid with Indica dominance that surprises with its spectacular dark almost black color, as well as its high resin yields with THC values ​​of around 26%. Golosa is a beautiful and very special marijuana plant that gives off intense and intoxicating aromas of forest and vegetation. Its appearance is a medium height plant, not very ramified, rapid flowering and it is usually ready in 60 days. 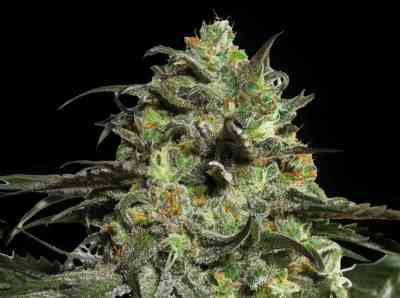 It also has the advantage of being very resistant to pests and mold which greatly simplifies the task of cultivation. Through this variety you can make excellent BHO extractions with a high percentage of return and this made Golosa to receive the 1st prize, from the category extraction with solvents, in the Cannabis Cup Castellón 2018. Golosa smells like green tea and thyme while its flavor is grapefruit and green mango, with hints of pepermint, coffee and licorice. The effect of Golosa is strong, relaxing and narcotic with medicinal properties.